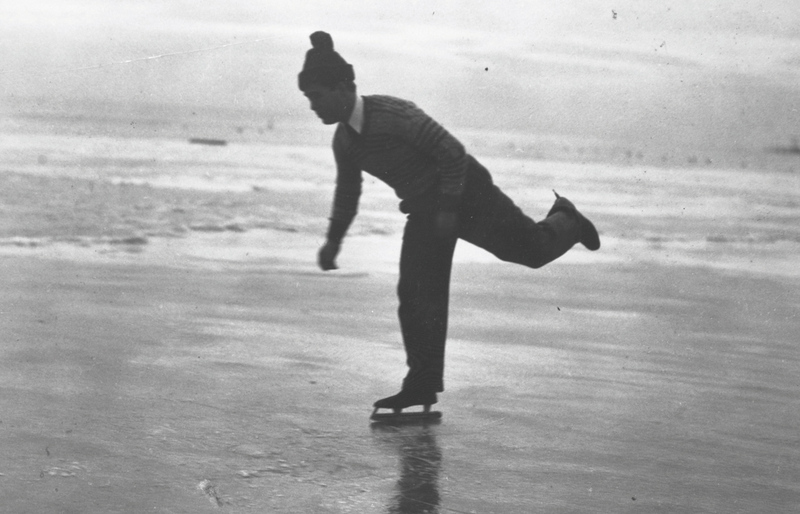 In late January 1940, a photographer captured 28-year-old Howard Barney ice skating on Mobile Bay — an event that had been impossible since 1899, and has been since. Photo courtesy of The Doy Leale McCall Rare Book and Manuscript Library, University of South Alabama. Mobile’s weather can go to extremes on occasion, and there have been a couple of instances where significant and prolonged temperature drops caused ice to form on the Bay. It may have never completely frozen, but enough ice has formed at least twice, enough to allow for skating — and sinking a ship. In February 1899, much of the United States was paralyzed by a blizzard, accompanied by record cold. New York and Boston were smothered in more than four feet of snow while the entire Mississippi River froze, sending ice into the Gulf. Mobile’s Carnival Association moved all of the festivities to Mardi Gras Day since Saturday’s weather was subfreezing and included ice-covered streets and sleet. The cold continued, and by Ash Wednesday, large portions of Mobile Bay had iced over. The James A. Carney, a 150-foot-long side-wheeler, attempted to cross the frigid waters to the wharf at Daphne but found the way blocked by what the captain described as thick ice stretching as much as three miles from shore. The ship continued south and plowed through a field of ice, which pierced the wooden hull. The sinking vessel was beached near the Fairhope landing, and all passengers and crew were able to escape. The James A. Carney would be repaired but would ultimately be a victim of another meteorological disaster: the hurricane of 1916. Mobile’s winters returned to normal for four decades. Then, at the end of January 1940, front pages of newspapers, which had been filled by the war in Europe, made room for news of the weather. The low temperatures that month would be record-breaking for 50 years and responsible for the death of at least three Alabamians. The northern half of Alabama was blanketed by as much as a foot of snow, followed by temperatures plunging as low as 16 below zero. Mobile did not get any snow, but for 10 long days, the temperature never got above freezing, and a portion of Mobile Bay froze over. Coal, the favored fuel for heating, was in very short supply, and many homeowners found their water lines frozen solid. Those who were able moved into hotels until the cold ended. As recently as January 2018, Mobilians found patches of ice forming along the Bay, but to date, there has been no prolonged cold spell as to permit Mobilians skating on it.